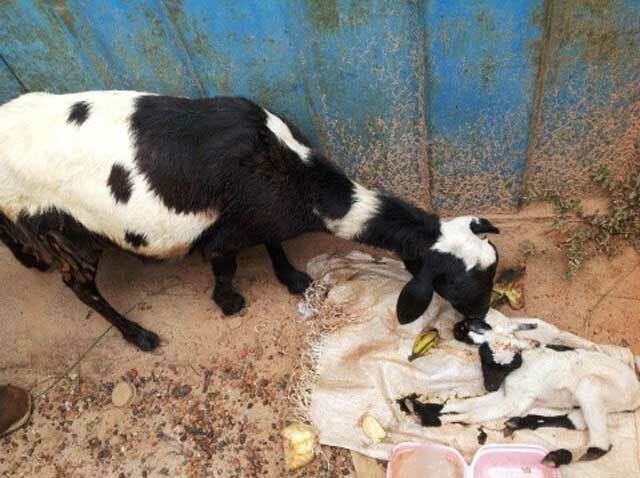 A lamb has been born with two heads at Borborbor, a village in the Western Region of Ghana. Eyewitness, Bernard Sackitey, said the black and white two-headed lamb was born beside a spare parts and general goods dealer’s shop called Sackious Ventures. The two-headed lamb has four limbs and one tail like every normal lamb, but has two fully developed heads. 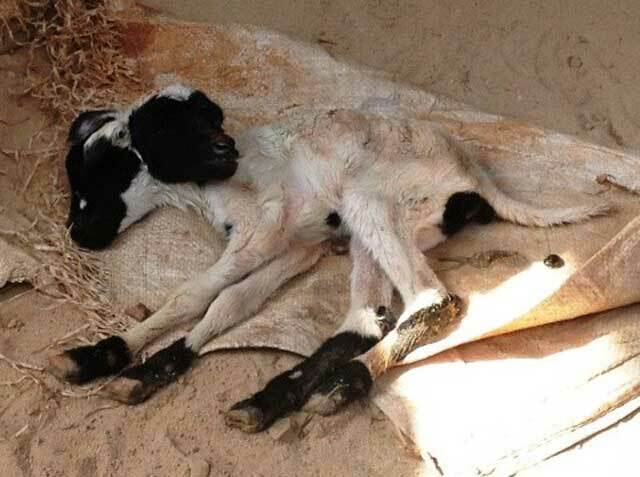 Residents of the area said they do not know the owner of the sheep that delivered the two-headed lamb. Those are goats, not sheep. And a baby goat is called a kid, not a lamb.